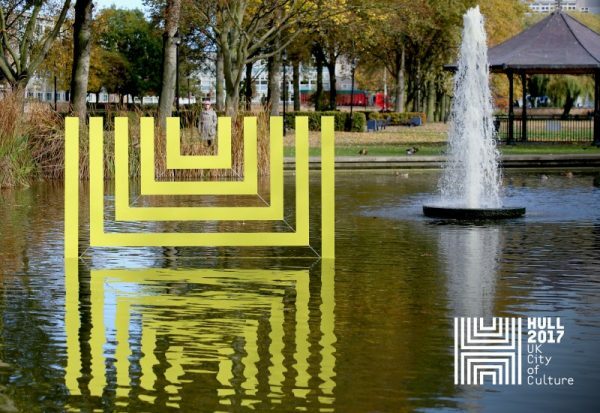 Hull has unveiled the branding to promote its year as UK City of Culture 2017. Sheffield agency Jaywing is behind the work with a campaign based around the idea of ’Everyone Back to Ours’. The logo is a geometric “H” shape used against a palette of purple, green, yellow, blue and pink. Gavin Shore, creative director at Jaywing, said: "The idea of the logo came from simple ‘frames’, or boxes, that were reinterpreted to create shapes, connections and forms, and to re-frame images, objects, art and culture." Client strategy director Nicola Carey said the branding "uncovers the many cultural highlights that Hull has to offer and celebrates the essence and people of this vibrant Northern city". Phil Batty, director of marketing, communities and legacy at Hull 2017, added: “Hull has more to it than meets the eye, and we want the UK and wider world to take notice. Hull 2017 presents the perfect opportunity to celebrate the cultural identity of the city in a way that will support our objective of bringing 1 million additional visitors to Hull next year.